Sci-fi and comic convention with stalls, talks, VR gaming, cosplay, special guests, and a whole load of fun. 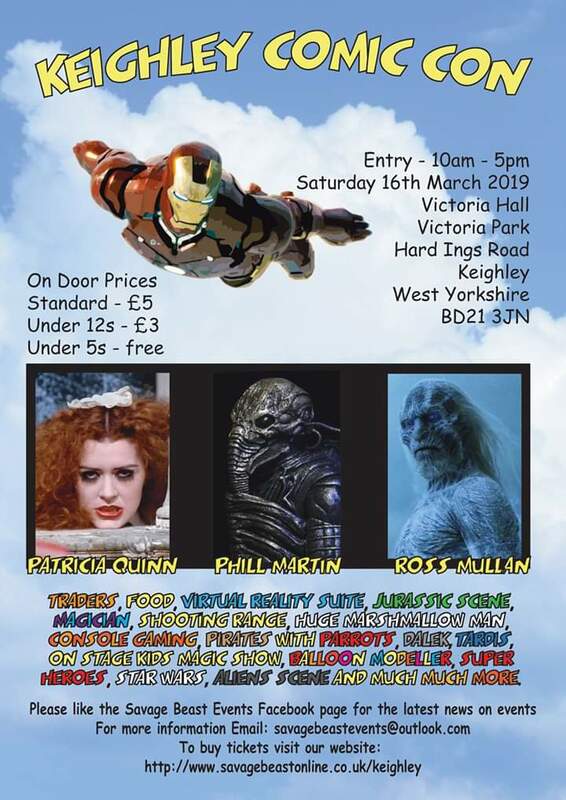 Here's what we have lined up for you at our third Keighley Comic Con! Keep following the event page for updates. There's fun for all ages so come along!